Recording in 360? You’ve heard of it, but do you need or want it? At many options, pros and cons there are 360 degree cameras coming from all directions, but is the cost and outcome worth it? As you may already know, 360 video cameras can come at a cost, but in the last two years, more consumer friendly releases have came about, making videos have a new life especially with VR becoming more and more popular. 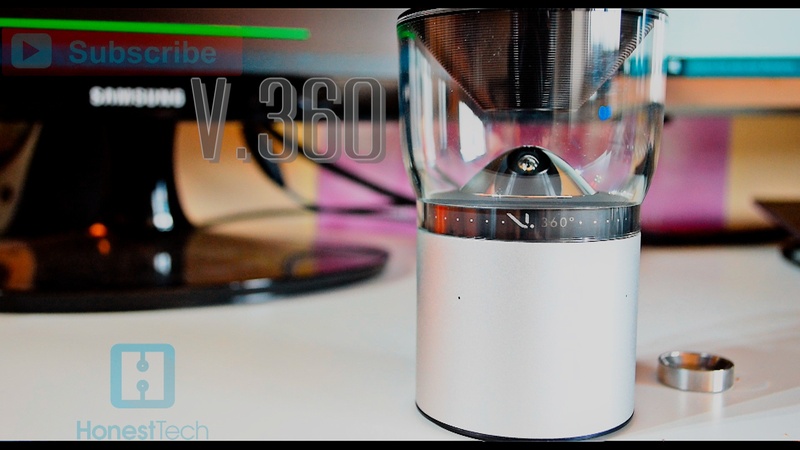 Here we are talking about VSN Mobil’s V.360°. The 360 camera that offers great image/videos in a small package, helping sport enthusiasts of all sorts a easier way of recording their tricks and experiences, with YouTubes recent update which enables 360 degree video in the player. There are again many alternatives both already released and in early stages of release, like 360cam, sphericam and the 360Fly. All of which I will be reviewing in future days. The V.360° offers a camera with the same specs as a flagship smartphone from early 2014, running Android 4.4, a Snapdragon 800 processor and being IP67 certified, so it can literally take everything you throw at it. So what exactly can it offer and is it made for you? Has Wi-fi and Bluetooth 4.0 built in for use on your Android or iOS device. View all images straight from the camera on to your device. A complete 360 degree image and video with additional modes like burst, surveillance and time-lapse. Have storage of up to 128GB on a micro SD card, with USB 3.0 being your connection to your PC. Connect straight to any TV or monitor with a mini-HDMI cable. Attach to a Go Pro mount, your car or skate board and Tripod incredibly quickly and easily. These are just a few of the V.360° main features, with more to offer, you can also update your camera straight from your phone. The V.360° was released earlier this year, bringing a new way of recording 360 degree images and videos, instead of using multiple sensors, it uses a single camera which reflects off of a convex mirror and captures everything in the mirrors view, like a tiny 360 telescope if you will. The Camera comes with 3 mounts to go on multiple mounts to meet everyone’s needs. Being water resistant for up to 30 minutes, dust and vibration proof to. It takes images at the resolution of 6480 x 1080, so instead of a complete vertical/horizontal image, it takes a very long landscape image, which may not to be to everyone’s needs, but it offers high quality on one aspect ratio instead of a lower quality on a complete 360 image on a x and y axis. So these are some notes to have in mind before investing in to the V.360°. To start with the cost is $449 which may be expensive to some people, but for this type of camera it is a great price. It works with most smartphones excluding all windows phones, as you may know, Windows phone still hasn’t got a great App store. Post production on recorded videos may be frustrating for novice users, as you are working with resolutions that chances are, you’ve never used before. It only records 360° horizontally, if you want complete 360, I advice you look elsewhere. At its price point, it is a bit of a bargain. Customer service and ongoing updates are amazing. Battery life allows 2 hours of continuous recording. Remote control is included, just point and shoot. If you are a Windows Phone user, you can only see the outcome when you get home and load the images on your computer. It is paperweight if you don’t have a class 10 microSD on hand. If you don’t ‘go outside’ often, you will have little to no use for it. Xiaomi Yi available for $68!